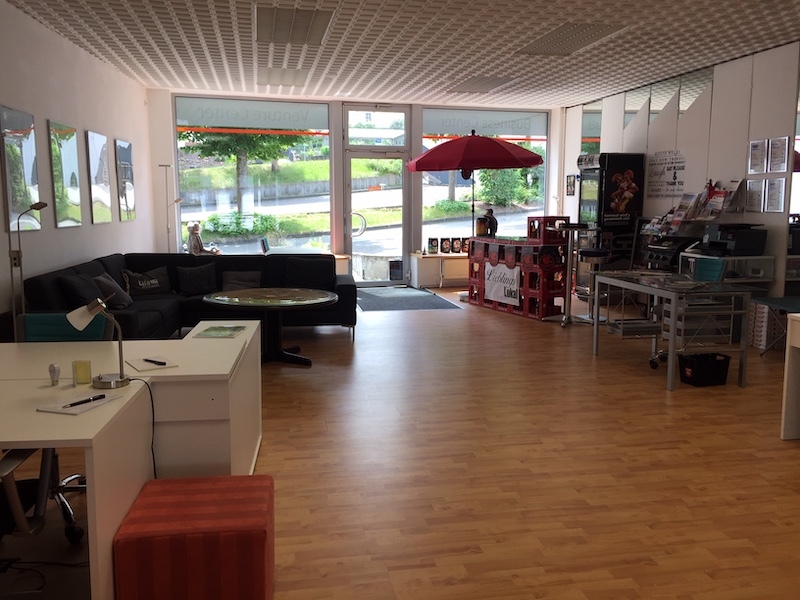 A warm welcome to the Westerwald lab! 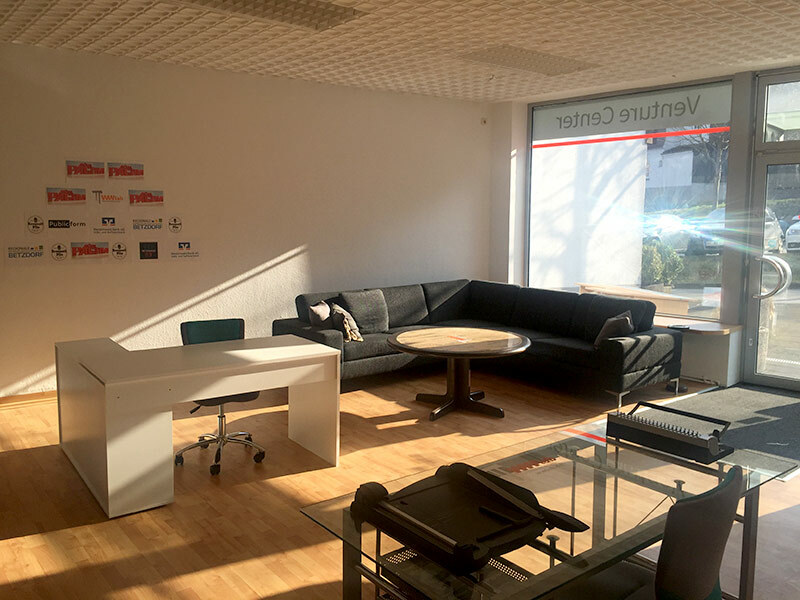 Our Innovation-Space with separate conference room and lounge area offers you a professional working infrastructure, a sound networking ground, help to get started and a platform for innovation & disruption in the city of Betzdorf / Rhineland Palatinate. With more than 26.000 inhabitants in the tristate-area (Rhineland Palatinate, North Rhine Westphalia and Hessen) and the attractive location in the triangle of Frankfurt, Cologne and Dortmund, the region of Betzdorf-Gebhardshain is an ideal location for the market entry or business development in Germany. 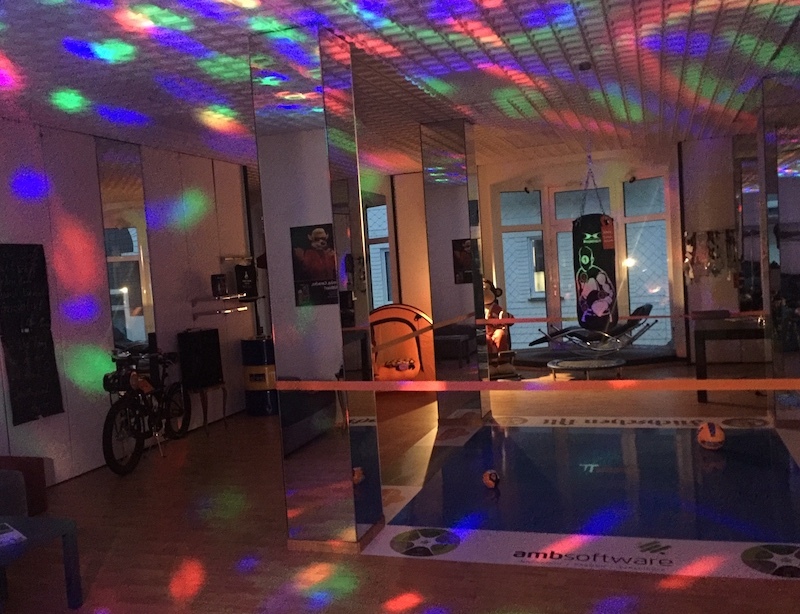 The fantastic recreational value of the Westerwald, the central location in the city of Betzdorf, the fast rail link to Siegen and Cologne as well as the close airports of Siegen (car/20 Min), Frankfurt (car 1h15 Min) und Cologne (car 1h) offer you an ideal working environment in the center of Germany. 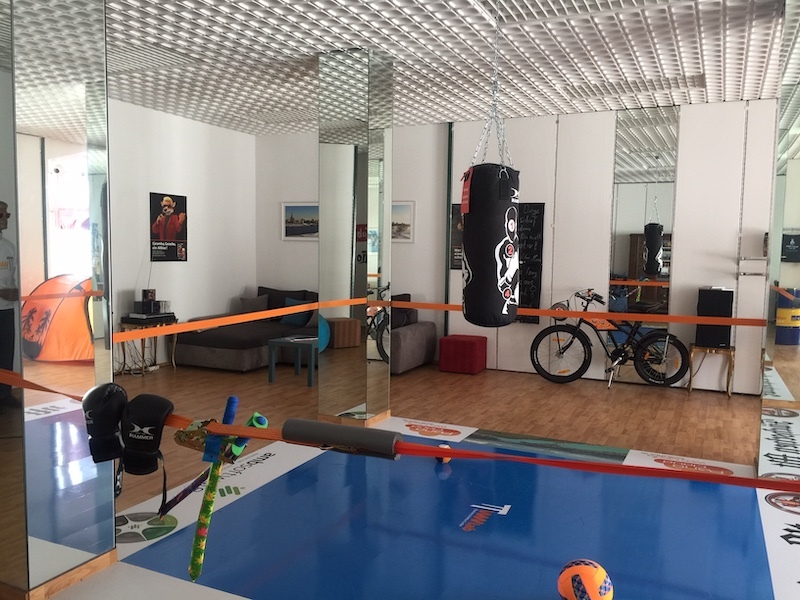 Generate synergies, group dynamics and share experiences: In our Innovation Space you work at your own desk in a professional equipped office with other companies and entrepreneurs. Our flat fee concept enables you to start easy and right away. You just book a desk (Pricelist, PDF 79KB) and start working. Your budget is limited, no problem! Our partner support entrepreneurs with good ideas financially. 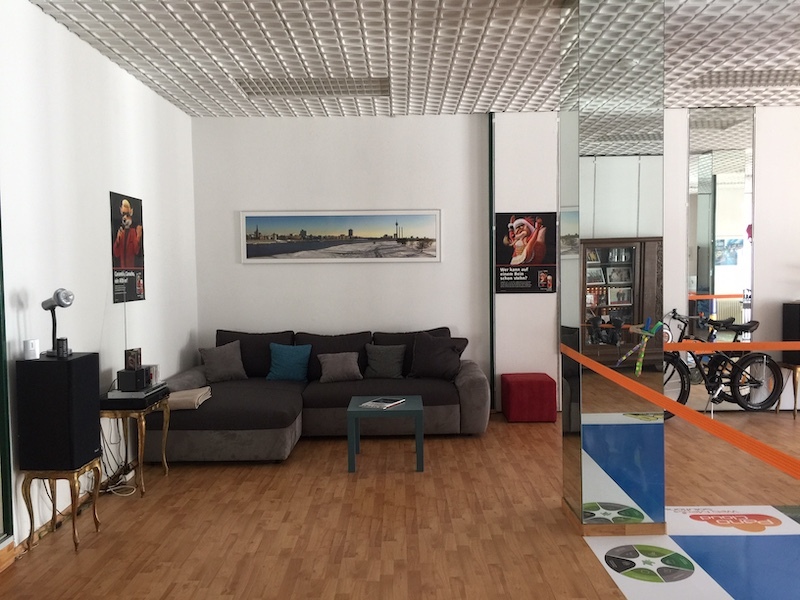 You are looking for a special deal for just a couple of days per month or an office to prepare an exhibition in the region. We arrange it for you, talk to us or send an email! Our huge conference room, approx. 60m², with big HD monitor, flipchart is designed for individual meetings, team meetings, presentations and workshops. For enquiries please send an email to info@wwlab.de. Your event in the WW lab: The WW lab offers a total space of 250m² for conferences, presentations or any other event. Please be so kind and let us know what you have in mind. We will develop an appropriate concept for your event with an attractive pricing. 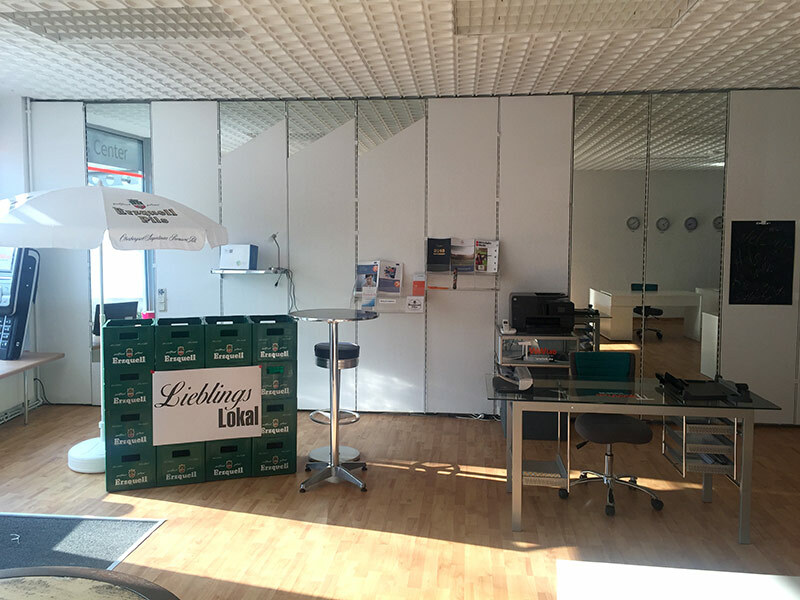 Our platform for new product ideas, show cases or exhibitions: Our Popup store offers around 180m² for innovative ideas or just a sales outlet. 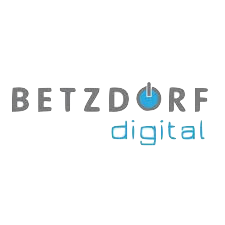 The Jubilees and street festivals in Betzdorf are very well attended from visitors of the region, use this attractive sales platform. For enquiries and prices please send an email to info@wwlab.de. The WW Lab organizes monthly events and workshops for itself or clients, partner and sponsors. The objective of these events is the establishment of a platform for networking, knowledge transfer and innovation for the regional business community. Our new format, the WW Lab Founders Talk, started at the 11th of April 2016 with a Key note from Dr. Oliver Bohl, PAYBACK GmbH – Part of American Express Group. Oliver talked about entrepreneurial spirit in the digital arena. Followed by a panel discussion of successful founders, we always discuss the corresponding topic with a tasty Füchschen Founders Alt surrounded by trendy lounge music.  the 4th WW Lab Founders Talk on December 13th, 2016 with the chief editor of Focus Online, Daniel Steil. 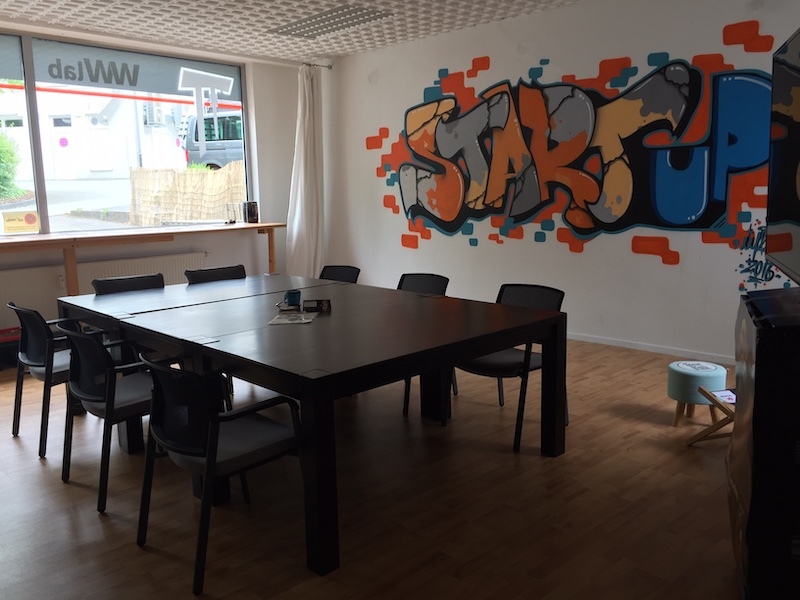 the 6th WW Lab Founders Talk on June 13th 2017 with the Start-up Coach and Investor, Felix Thönnessen. 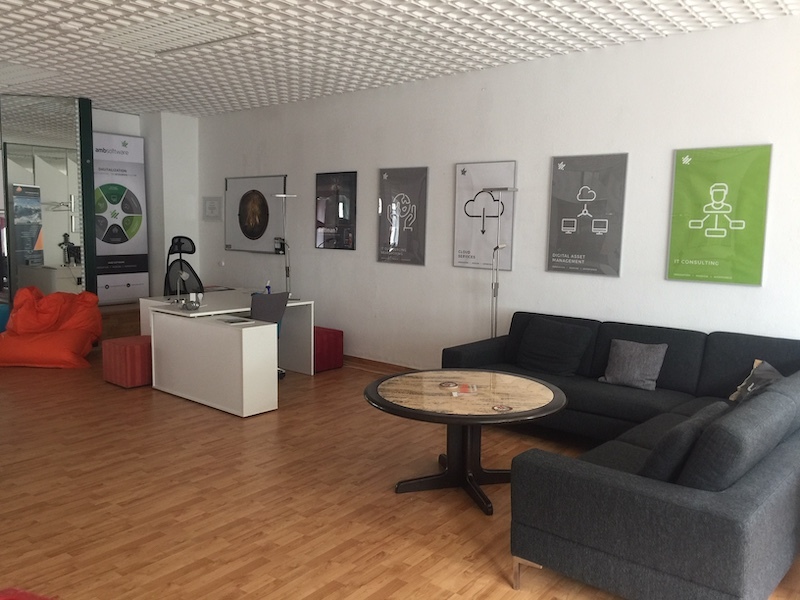 an Interview with Placing-You, a new Start-up in the WW Lab. 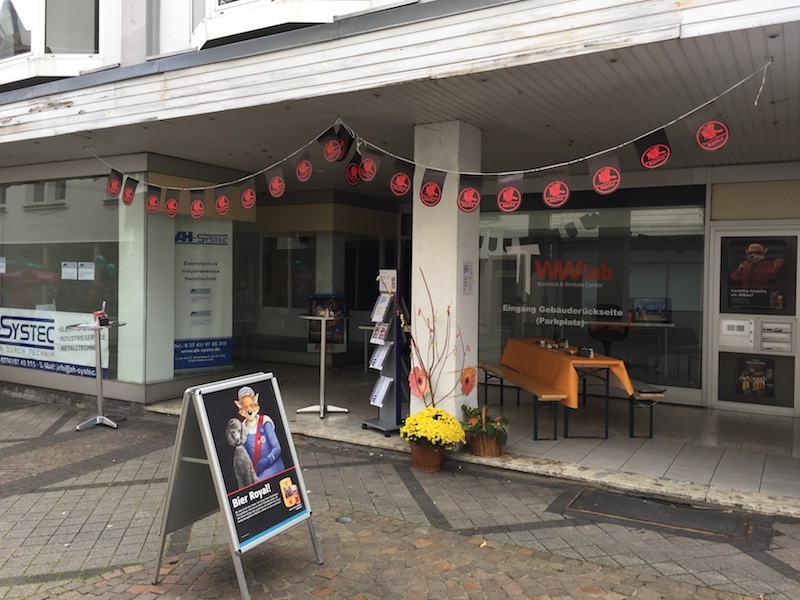 the 7th WW Lab Founders Talk on Tuesday 24th of October with Dr. Oliver Bohl, director digital sales at KFW Bankinggroup. the 8th WW Lab Founders Talk on Tuesday the 20th of February, with Janosch Maier, Co-Founder Crashtest Security GmbH. The founder of the WW Lab, Dipl.-Kfm. Hartmut Lösch MSc, is a sales and marketing expert with sound management experience in digital business. With his unit Mobile Markets he works as a consultant and coach, supports organisations and people in understanding the digital challenges and making the best out of it. Another emphasis is the support of cities to establish an innovative start-up centre. 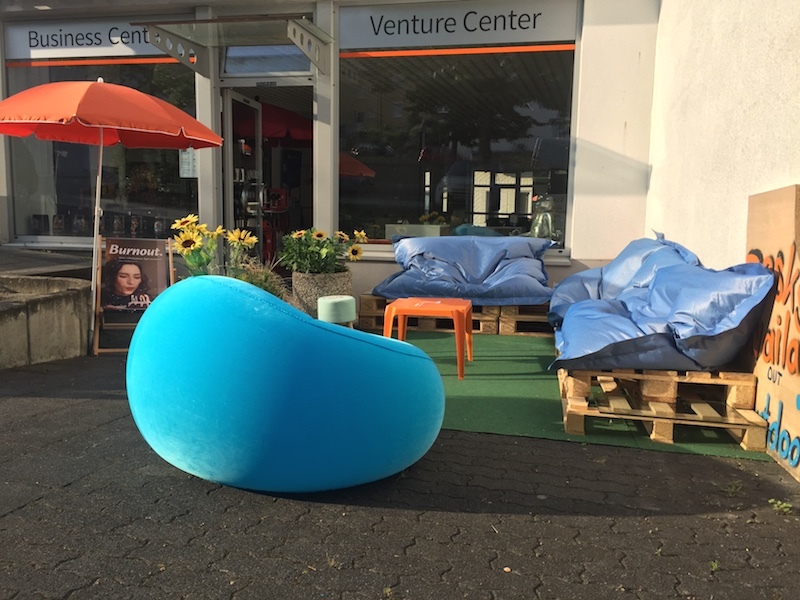 His WW Lab workshops and seminars focus on innovation, digital business, entrepreneurship und sales. 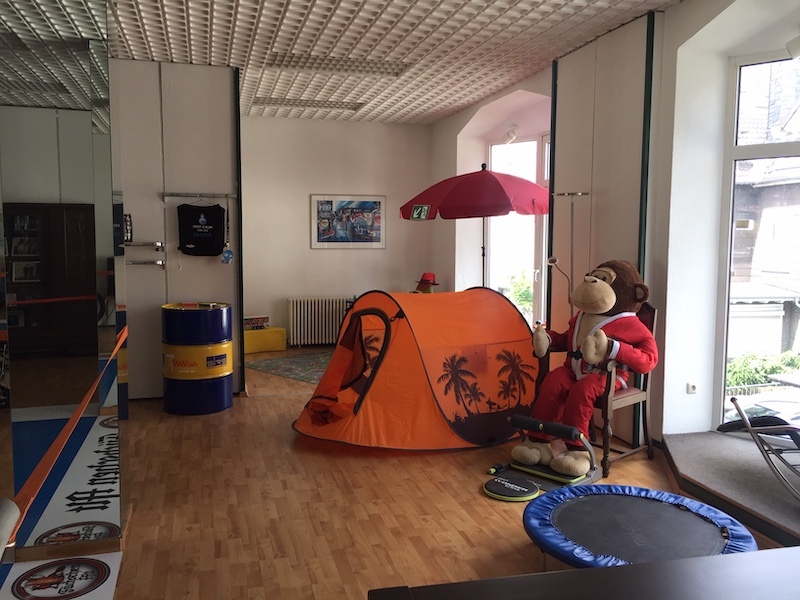 All seminars are available in English and German, for the current German ones, please have a look on the German part of the website. Die bereit gestellten Informationen auf dieser Website wurden sorgfältig geprüft und werden regelmäßig aktualisiert. Jedoch kann keine Haftung oder Garantie dafür übernommen werden, dass alle Angaben zu jeder Zeit vollständig, richtig und in letzter Aktualität dargestellt sind. Alle Angaben können ohne vorherige Ankündigung geändert, entfernt oder ergänzt werden. Weder die Veröffentlichung noch ihr Inhalt dürfen ohne die vorherige ausdrückliche Genehmigung von Hartmut Lösch, WW Lab, auf irgendeine Art verändert oder an Dritte verteilt oder übermittelt werden.